Holds anything you need to keep handy in the car. GreenGoose Car Bags is a husband and wife owned and operated company located in Columbia Maryland, USA. When you place your order with us, we make it just for you! THE FABRIC – The main bag and handle is made of a polyester flannel medium weight fabric in a leopard print. The band is black. THE BAG – Need to organize your car? This bag can handle it! It is designed to hang on the back of a car’s HEADREST (head restraint). Our Headrest CADDY can help you organize all those kid’s toys, games, extra diapers and wipes or even pet supplies. You will be surprised how much it can hold! 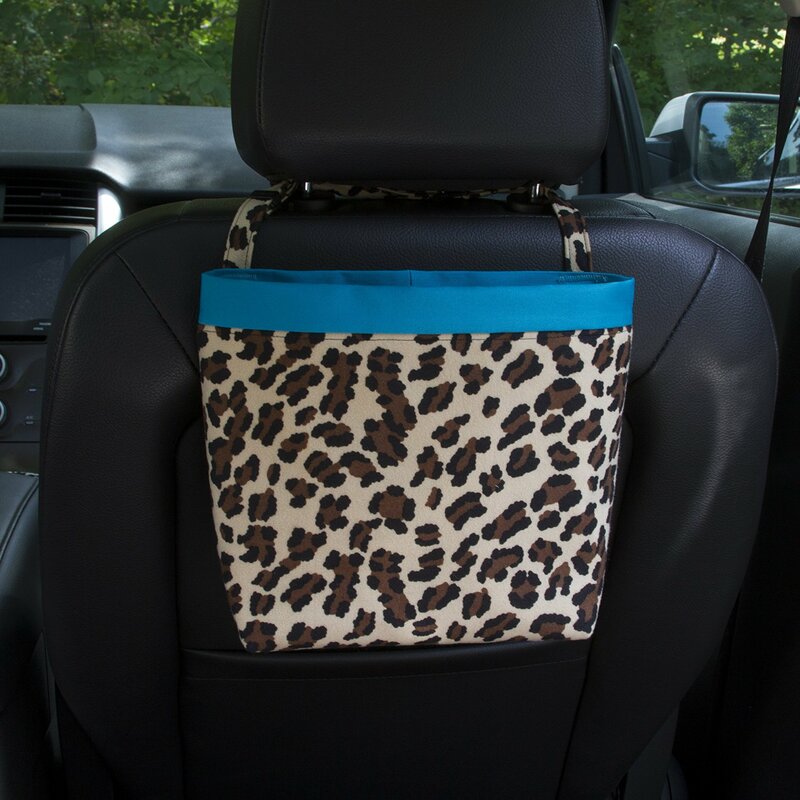 If your headrest lifts up to expose the metal bars, then this bag will work in your car. THE HANDLE – Lift the headrest and adjust the 18″ handle with a center release buckle around the metal bars to get a custom fit. Push the headrest back down to hold the bag in place. The bag is 10.5″ wide at the top.